What a perfect ending, even though I want more. This was a book on the rise of the Tudors, but I felt like it wasn’t enough. Not sure if I’m saying that because I want more from this series, or there actually wasn’t a lot of Tudor present. I’m going to be raving about this series for as long as there is life in my body. Conn Iggulden puts life into facts. I knew a lot about the history of war of the roses, but they weren’t people, they were just names on a screen. 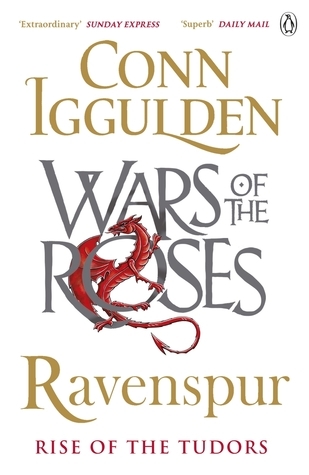 Conn Iggulden made me weep, laugh, and weep some more. He made them human, which sounds odd because they are. Okay, I’m not wording it the way I want, unless I am and hopefully you understand what I’m saying hahaha. I became invested in everyone, because I couldn’t pick a side, I was sad when someone died. Not telling who, even though it technically isn’t a spoiler. If you haven’t read this series yet, DO IT NOW.